Patrick Beverley understands his role. The defensive stopper limited Kevin Durant's impact in the Clippers' shocking 135-131 comeback win over the Warriors on Monday. Los Angeles’ victory evened the opening-round series at 1-1. Durant and Beverley were both ejected from Game 1 in the fourth quarter after a verbal altercation. “I don’t try to get in people’s head man,” Beverley told reporters following the Game 2 victory (via NBC Sports Bay Area). “I can’t help that people get irritated by me. It’s not my fault. I go out there and I try to be the best defender on the f—g planet, consistently — (day) in and out, in and out. I take my role, I take my job, very seriously, and I do it for my teammates. Golden State held a 31-point lead with 7:31 remaining in the third quarter of Game 2. But, from there, Los Angeles cut into its deficit and eventually tied the score on a jumper by Lou Williams with a little more than a minute to play. Williams then knocked down another jumper a few possessions later and Landry Shamet connected on a clutch 3-pointer to put the Clippers ahead for good. 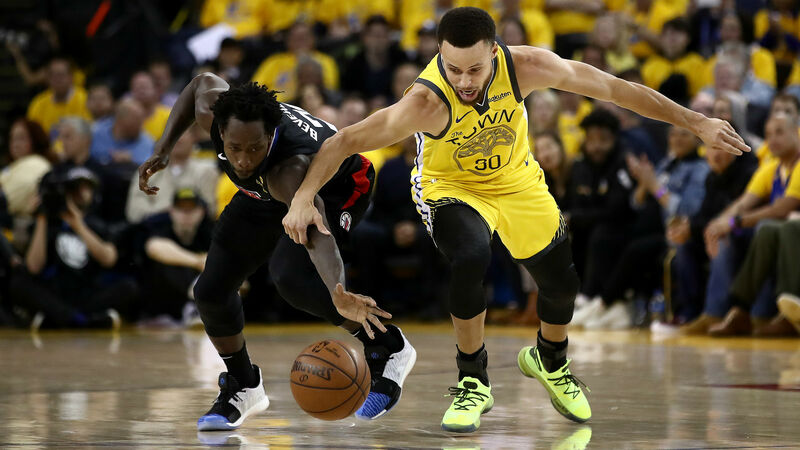 Beverley had multiple key moments during the run, including stealing the ball away from Warriors star Stephen Curry. Clippers coach Doc Rivers praised Beverley as well as Lou Williams, who scored a game-high 36 points. “(Beverley’s) so important for us,” Rivers told reporters after the game. “I think people get lost in some of his antics and stuff. But his spirit and his soul is so important for our team. He was encouraging everybody. The Warriors and Clippers will face off in Game 3 on Thursday at the STAPLES Center. Tipoff is set for 10:30 p.m. ET.